Professors enter University Hall to attend a meeting of the Faculty Council on a rainy Wednesday afternoon in Sept. 2018. 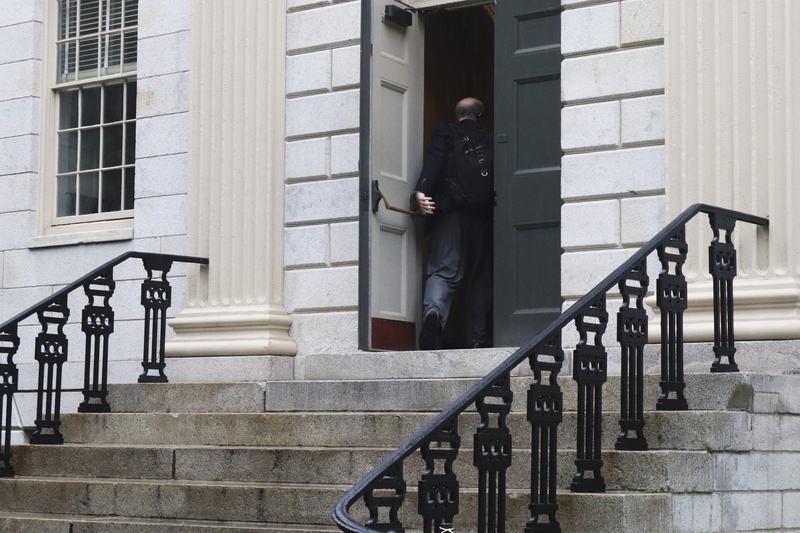 The Faculty Council discussed a proposal to add additional course start times to the new schedule and heard a presentation on the lawsuit alleging Harvard's admissions process is discriminatoryat its biweekly meeting Wednesday afternoon. 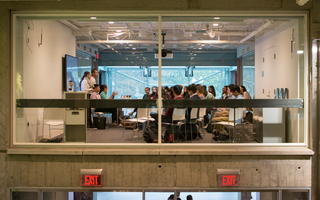 Faculty of Arts and Sciences registrar Michael P. Burke presented a proposal to the Council — FAS's highest governing body — that would allow courses that are scheduled from 12 p.m. to 2:45 p.m. or 3 p.m. to 5:45 p.m. to delay their start time by 45 minutes. If passed, the change would give students more time to eat lunch and would ensure courses aredistributed more evenly throughout the day. The proposal follows a short presentation Burke gave at the Oct. 2 meeting of the full Faculty, during which he spoke about some issues raised by the new schedule. 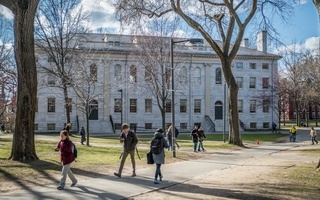 The new system — implemented this fall after gaining Faculty approval in 2017 — extends the standard class block from 60 minutes to 75 minutes, adds 15 minutes of passing time between courses, and eliminates the tradition of "Harvard Time" which had allowed students to arrive seven minutes late to every class. It also requires departments to distribute their classes more evenly across the day and limits the times at which classes may begin. Burke said at the Faculty meeting that the most popular time slot for classes is between 12 p.m. and 2:45 p.m.
Because dining halls originally opened at 12 p.m and closed at 2:15 p.m., many students missed lunch. On top of that, "Fly-By", the cafe underneath Annenberg Hallthat provides upperclassman with bagged meals during the day, saw longer lines than usual. Harvard University Dining Services has since begun openingdining halls half an hour earlier at 11:30 a.m. in an effort to combat this problem. Council member David L. Howell called the suggested changes "commonsensical." The Council will likely vote on the proposalat their next meeting before sending it off to the full Faculty in November for discussion, according to Howell. If approved, the alterations to the schedule would take effect during the spring semester. 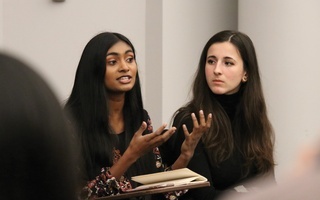 Council members also heard from Harvard General Counsel Robert W. Iuliano ’83, who gave an update on the four-year-old admissions lawsuit alleging the College discriminates against Asian-American applicants. Filed by anti-affirmative action group Students For Fair Admissions, the lawsuitis set to go to trial on Oct. 15 in a Boston courthouse. During his hour-long presentation, Iuliano canvassed the main charges listed in the lawsuit, SFFA and its founder Edward Blum, and past Supreme Court decisions on affirmative action, according to Howell. Iuliano also gave Council members a chance to ask questions about the case. 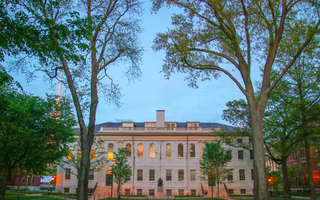 Harvard has repeatedly denied all allegations of discrimination. The next Council meeting will take place on Oct. 24.